Dandelion Dew Notebook from Pretty Good Notebooks. A handy paper notebook is just as important today as it ever was. 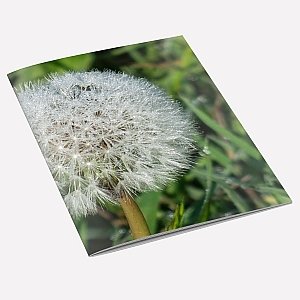 Handmade paper notebook featuring a photograph of a Dandelion covered in morning dew on it`s cover.